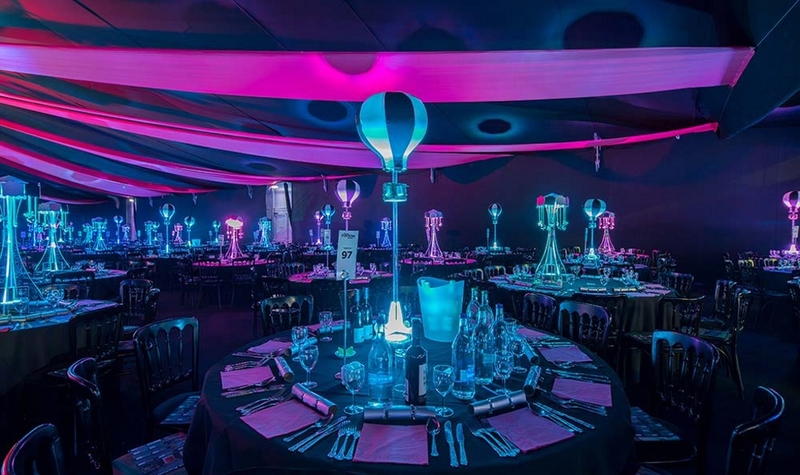 Its All Glow | Discover the magic with a dream circus theme | Its All Glow Events Ltd.
Not for the faint-hearted, our brand-new Dream Circus theme is taking the events industry by storm. 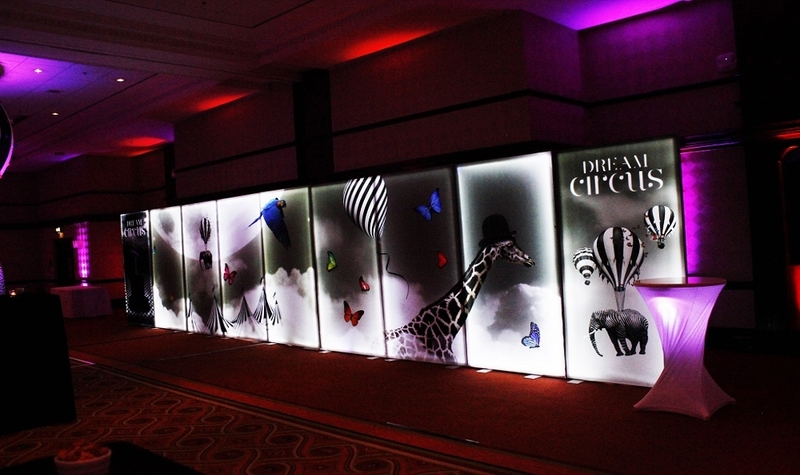 It’s All Glow Event Ltd are proud to unveil an extraordinary and unique theme that’ll make sure your next event stands out from the rest.A creative concept built around adventure and fantasy, Dream Circus traveled the world delighting audiences with its over-the-top performances. 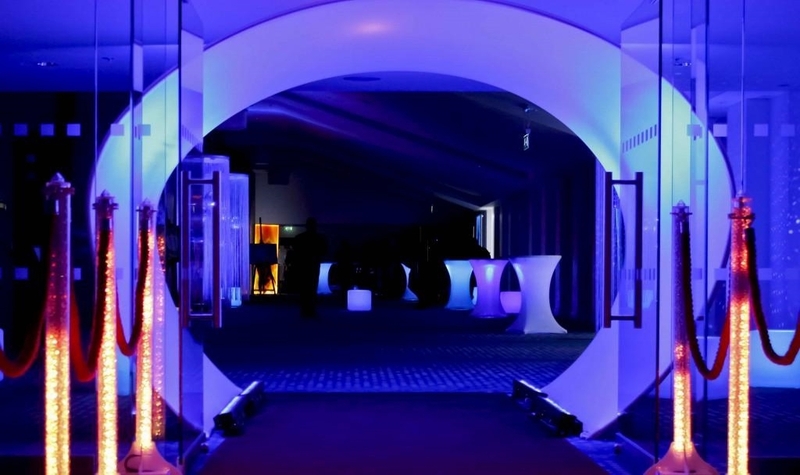 The scene is set with a lit walk through tunnel to lead your guests into the main room, where a magical scene awaits. 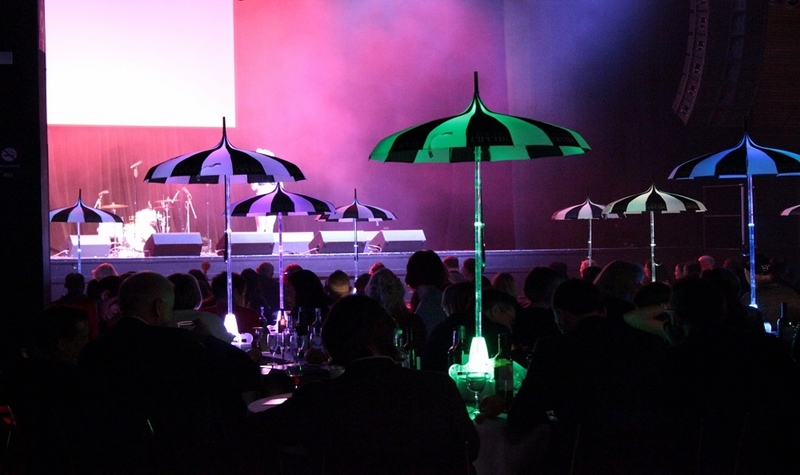 The stand-out feature of this theme is the centerpieces – each table decorated with oriental style black and white umbrellas with Dream Circus emblems on. There’s no doubting what this theme is all about! 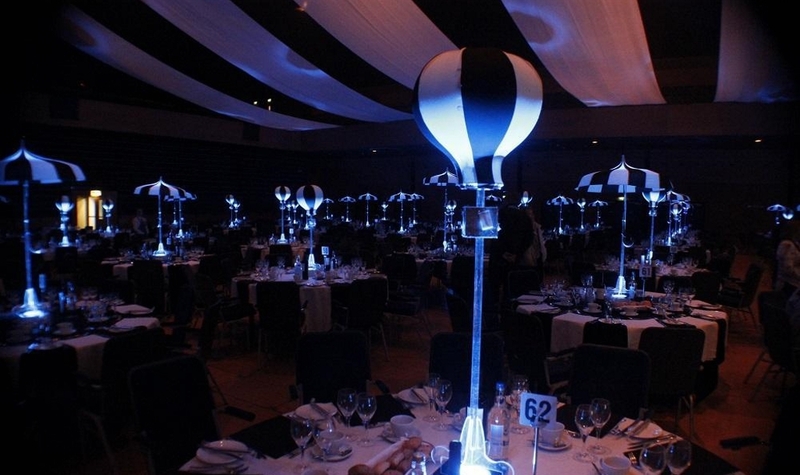 The monochrome is offset by deep purple and blue props, including light panels, draping and furniture of your choosing. 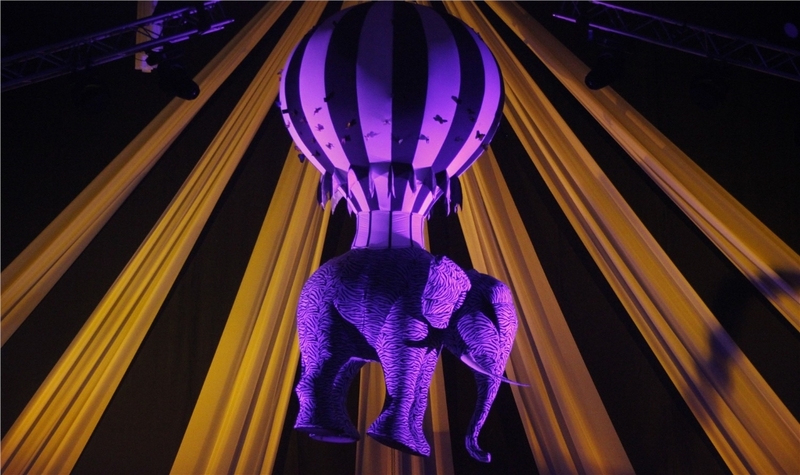 To really make an impact, the Dream Circus theme can be finished off with a 6-metre 3D elephant suspended from a giant balloon. The world of fantasy is at your fingertips and the theme can go as far as your imagination… and beyond!